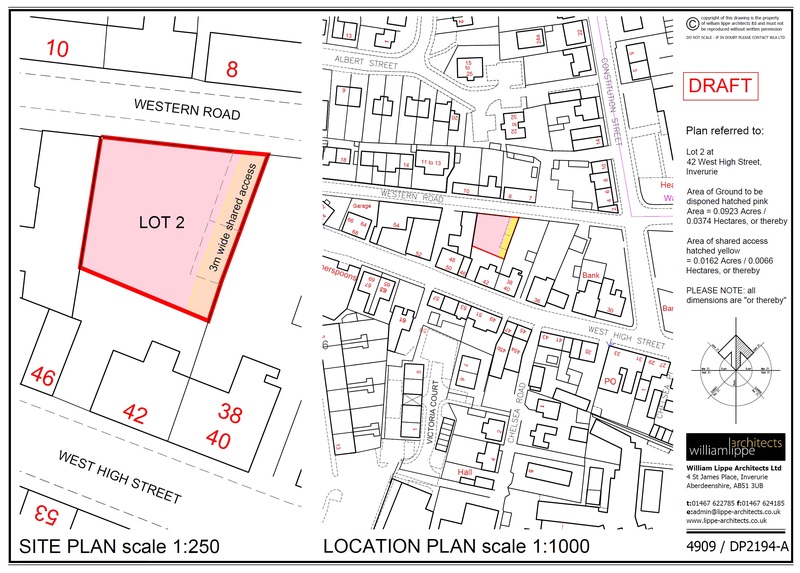 Development plot thought suitable for dwellhouse or block of four flats. Price over £120,000 Entry by arr. Viewing contact solicitors. Substantial rear garden located in Inverurie Town Centre with access off Western Road, suitable for development for residential purposes. Formal discussions with planning department indicate that the planning applications would be favourably received for anything from a detached house to a block of four flats. It is believed that mains services exist in Western Road. An access will be retained through the development site to provide parking area for 42 West High Street. Directions from Inverurie Town Centre: Walk up Western Road and the site is identified by for sale sign on the left.